Edwards didn't even consider applying. 'My resume was not even close to impeccable. coaches in history to have won more than 200 collegiate games. LaVell Airs It Out On . . .
one of the greatest managers around. Lee Benson is an award-winning sports writer for the Deseret News. Lee Benson has been a journalistic icon in the Salt Lake City market since his graduation from Brigham Young University in 1976. He was a sports writer, sports columnist, and sports editor for the Deseret News in Salt Lake City, and is currently writing a Metro column which appears five days a week. \tHonored as Utah Sportswriter of the Year on more than one occasion, Lee has traveled extensively in his career, covering such events as the Super Bowl (15 times), the Final Four (15 times), Wimbledon, the Masters, the British Open, seven World Series, seven Olympic Games and even one national political convention. \tHis Olympic experience includes reports from Los Angeles, Calgary, Seoul, Albertville, Barcelona, Lillehammer, and Sydney. 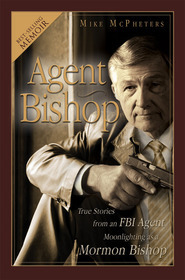 In addition, he’s written five books about the Olympics, including two history books, Athens to Atlanta and Chamonix to Lillehammer; one book of inspirational stories, Glory and the Games; one book on Mormon Olympians, Trials and Triumphs, Mormons in the Olympic Games; and the latest release, Salt Lake 2002. \tMr. 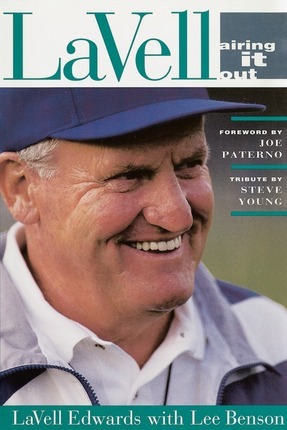 Benson has also written five other books, including two for Deseret Book/Shadow Mountain—And They Came to Pass (about BYU’s All-American quarterbacks) and LaVell, Airing It Out (LaVell Edwards’ memoirs). \tLee Benson lives in Park City, Utah, with his wife Kerri, and their three children.